Currently, about 25 runners from Chattanooga and its surrounding cities are packing their gels, racing shoes, and singlets to travel to Boston, Massachusetts to run in one of the most famous marathons in the world. On April 17th, these men and women will line their toes with the starting line along with thousands of others to run a race that has taken hours of sweat, tears, miles, failures, triumphs and pure grit to qualify for. We wanted to recognize and cheer on our local athletes as they embark on the final leg of their 2017 Boston Marathon journey. We asked of few of them to share their stories in hopes that they will inspire Chattanooga’s local running community to dream big and set their goals high! This will be my 8th Boston and 53rd marathon overall. I first got into running while at Rossville Junior High School School at the urging of the track coach there. I ran the mile in 8th, 9th and 10th grade before giving it up for twenty years. I got back into it to lose weight and to kick alcohol/drugs. 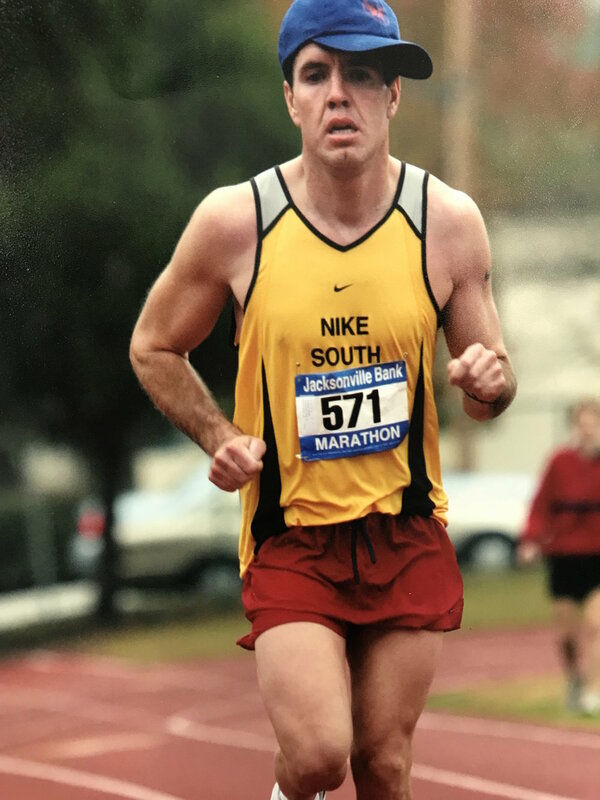 I was getting ready for my 3rd marathon, Chickamauga Battlefield in 2007, when local running legend Flash Cunningham asked me if I was going to try to qualify for Boston. I had no idea what he was talking about, so I did a little research. I needed a 3:20:59 to qualify. I thought that was impossible since my previous 2 marathons were in the 3:40's. When I got to twenty miles, I realized that I had a chance if I could pick up the pace a little. I ran a 3:19:51 with an almost 3 minute negative split and went to my first Boston in 2008. I'm always trying new things in my training for Boston. The course is a hard one to master. This year I have backed off of the high mileage a little bit and focused more on quality workouts. For me, something bad almost always happens during my training for Boston. I've had freak injuries (broken toe, sprained ankle) and normal injuries (IT band syndrome, pulled hamstring, Achilles tendonitis). I was laid off from a job once during Boston training. I've had relationships end twice. The absolute worst though was when my Mother passed away in 2014, five days before Boston. She had been in the hospital for 3 months so it wasn't a totally unexpected, but still very tough for me to train for and go and run the race. That was what she wanted me to do though. She always loved to talk about the Boston Marathon. My goal is 2:55 with a slight negative split, provided the weather is good. Good weather for me would be overcast with temps in the mid 40's. This is my first time going to Boston. I chose to run this race because I wanted a race to look forward to during a challenging time in my life. In training for Boston, I have had time to think and enjoy the life God has given me. Don’t get me wrong, the runs hurt and are hard, but I cherish the time I get to spend outside remembering all the blessings that have been poured out on me by those around me. Although training has not gone as planned, I am coming up on my first marathon that I am injury free, which is a HUGE accomplishment. The biggest challenge for me is to remember that my body is different from others’, and what works for some doesn’t always work for me. The more marathons I run, the better I am at understanding this. If I can encourage anybody, I hope it is to do what works for you and enjoy doing it. Life is too short to be stressed out about running! I want to look back at the 2017 Boston Marathon and know I gave it everything I had, whether that’s running fast; being helpful, encouraging and kind to those around; or accepting if the race does not go as planned. A lot can happen in 26.2 miles. I hope whatever runs my way, I can find true joy and hope that my fellow Chattanooga runners, at Boston and here at home, can do the same! I started running in 3rd grade when Cameron Bean got me to try out for the cross country team and track team. In high school, I knew I wanted to run all 6 major marathons. This is my first time running the Boston Marathon and my first time going to Boston! I'm excited for both! I qualified at the 2015 Chicago Marathon a few months after Cameron died. It was the hardest race of my life. I sat on a bench in Grant Park and cried after the race. My goal for Boston 2017 is to average 6-minute miles. It's an ambitious goal, and I'll be happy with anything under 2:45, but if everything goes right, I should be able to run that pace. I first started running when I was about twelve. Both my older brothers did it, so I just assumed I could too. I beat my older brother in my first 5k, but my friend beat me by 2 seconds. From then on, I just wanted to keep running and keep getting faster. I missed qualifying for Boston in my first marathon by about 2 minutes, so I took another shot the next year at the Louisville Marathon and got in. I ran Boston in 2013 with a time fast enough to qualify for 2014. After all the events with the Boston bombing, I decided that I wanted to come back in 2014 and run again. But in 2014 I did not run fast enough to get back in, and at that point, I was out of running regularly. But soon after, I started writing a workout schedule for my wife and started back running with her. After she ran her goal race, I decided to write my own schedule and have been building back ever since. My most important aspect to training is consistency. Next is not overtraining, followed by knowing how my body responds to different workouts. All in all, if you train consistently without overtraining, you're going to do well. Also, nutrition and hydration are almost as important as fitness in a marathon. My main goal for Boston 2017 is just to run to my ability, whatever that is. I think my training indicates that I can run under 2:40, so that's what I'll be pacing for, but I will just go with whatever the day brings. I started running about 10-11 years ago, mainly as a form of escape and time alone in the woods. My father passed away suddenly in 2005, and I found a lot of peace and solitude in the woods. I always ran alone with my dogs and became pretty addicted to the way running made me feel. I mainly ran trails, so I started signing up for some trail races around town. I ran several trail marathons, 50k’s and a 50 miler at Mt. Hood. Over the past three years, I’ve transitioned off the trail to more road running. At first it was just to get faster on the trails, but now I’m hooked! Although I can’t wait to get back to the trails after Boston. I love setting goals and achieving them. I’ve never run a big road race with so many people and so much history, so Boston seemed like the perfect goal. However, I’ve only run 2 road marathons: Battlefield and Missoula Marathon in Montana where I qualified. It’s been really surprising how much harder road marathoning is compared to trail ultras. The hardest part of training has been the 4:20 a.m. alarm! 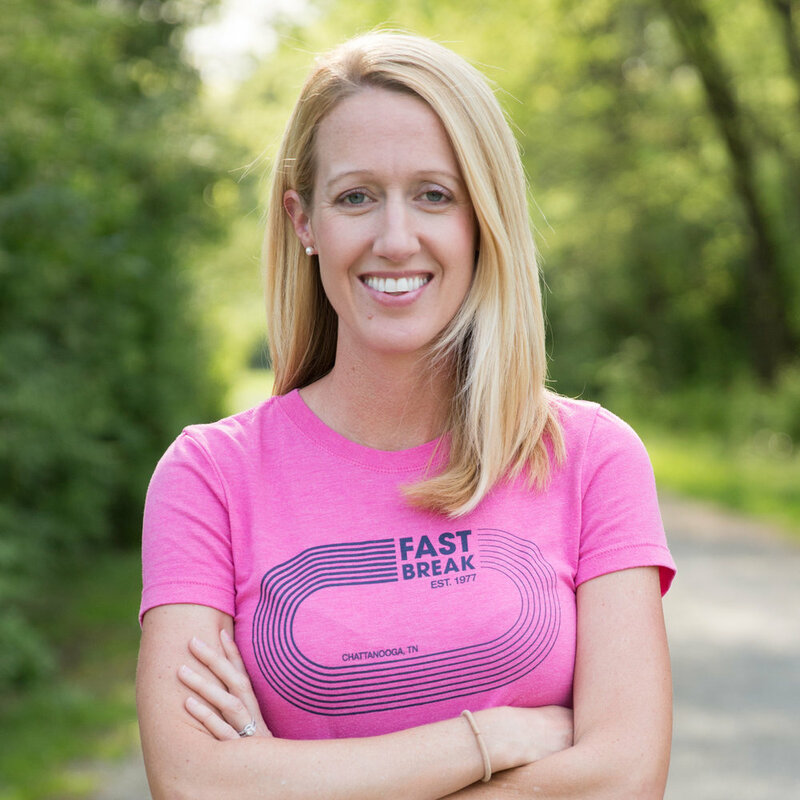 Juggling a full-time job as a school psychologist, being a mom to a very active daughter, and coaching track and cross country for Normal Park has been challenging. So most of my runs happen before 6 a.m.! And I take recovery pretty seriously. Naps, epsom salt baths, and massages. At Boston, I really want to relax and have a good time… and get just 1 good race photo! I’ve trained really hard, so if the weather is good and everything falls into place, I hope to have a good race (but I don’t like to say time goals out loud!). Before 2009, I had never run more than 3 miles. That spring, I started running with a friend of mine that was training for the San Francisco Nike Women's Marathon. I told her I'd maybe work up to 12 miles but had no intention of going any further. However, I ended up running through the entire training cycle with her and running the Battlefield marathon in November. I've been running ever since. My average marathon time for several years was around 4:15 - 4:45, so I never considered trying to qualify for Boston. In 2014, I decided to make some changes and ran a 3:50 for the first time at the Kentucky Derby Marathon in April. After that, I thought getting a BQ (Boston Qualifier) time might actually be possible. At that point, I'd run about 13 marathons, and though I had about 30 minutes to cut from my time, I decided to make Boston a goal. In December of 2014, I finally qualified at Rocket City Marathon in Huntsville. I've since qualified at New Orleans, Andrew Jackson, Kentucky Derby, Panama City, and St Louis. But this year, I'm just happy to make it to the start line. I've had an injury since early January so will be running the race with about 4 weeks of training and 2 weeks of taper. I’d be overjoyed to qualify again but that's probably not realistic. I'll just enjoy the crowd, have fun, and try not to think too much about pace. The blue Fast Break Race Team singlet has been the shirt of choice for most of my races last year...and probably will be for this year too! I started running after having 4 kids. I needed to get back into shape. The Boston Marathon is such a highly recognized race, so I wanted to give it a go. This year will be my second Boston Marathon. The hardest part for me is not the qualifying part but getting to Boston. I don’t like to fly, so the first time, I had to overcome the fear of getting back on a plane. Thank goodness for friends! The Chattanooga running community is a group of phenomenal individuals that share their support, encouragement, and wisdom. I have developed some amazing friendships while training with people that inspire me daily with their own personal journeys as well tolerate my quirky and colorful personality. Extremely thankful for everyone! My goal for Boston 2017 is to finish strong. I got into running in 2010 for the camaraderie, challenge, and competition. When you get into running, you generally pick up a Runner's World magazine and read it from beginning to end. There's always some article with the mention of Boston. So I was like, "I want to do it!" This year will be my third Boston. I've done it in 2012 and 2015. I had some epic failures back in 2008. I winged it trying to qualify running the 2008 Battlefield Marathon. I took a sabbatical from running for the next two years. In September 2010, I started talking to Joey from Fast Break and he helped me develop some structure to training. The Georgia Publix Marathon in March 2011 is where I finally qualified with a 3:13. It was incredibly painful and amazing at the same time. Mantras really do work, I kept telling my self from mile 18 and on, "just hang on, you've come too far to quit!" I got through it, and it took two weeks for me to recover. Worth it! I continued to build off that race and others along the way. This is gonna sound odd but I like to have a hamburger, fries and a coke for dinner before a marathon. This is my third Boston marathon and I'm just looking to have fun and make some new friends! Running is truly great sport! Good luck to everyone from Chattanooga who is running the Boston Marathon! 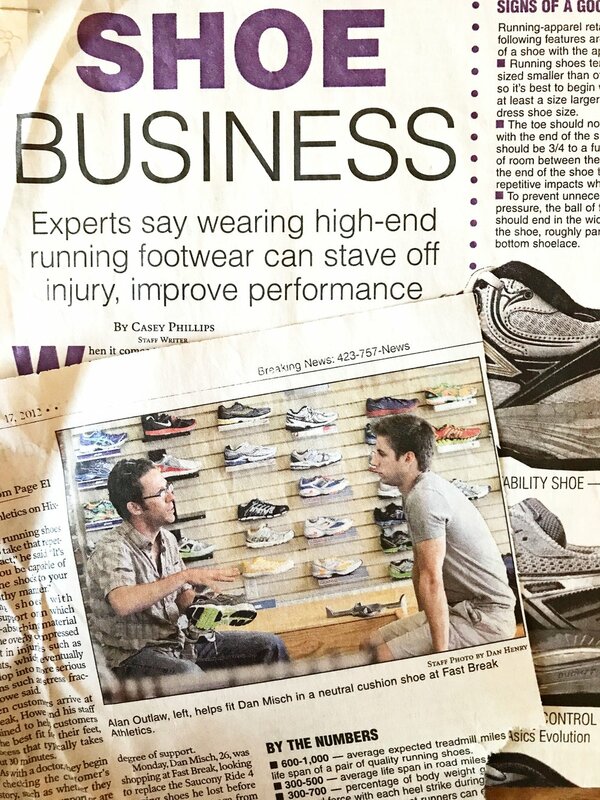 You might have read about Nathan in the Times Free Press, Nathan has continued to blow away all expectations from doctors about his condition. We invited him into the store to talk about his running journey.